– Such a terrific reference work! But with so many terrific random digits, it’s a shame they didn’t sort them, to make it easier to find the one you’re looking for. － While the printed version is good, I would have expected the publisher to have an audiobook version as well. A perfect companion for one’s Ipod. 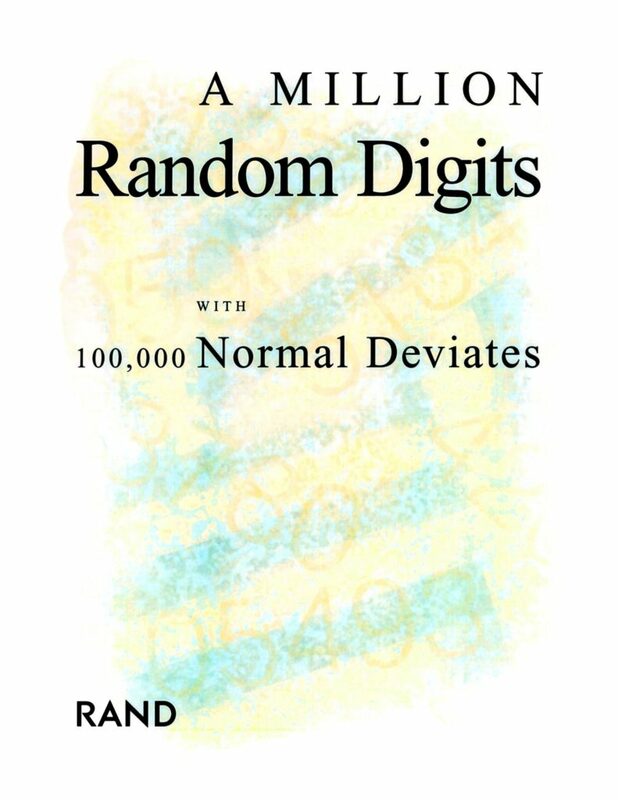 －The book is too hard to follow, the author randomly shifts from one number to another without any prior warning. －The bulk of each page seems random enough. 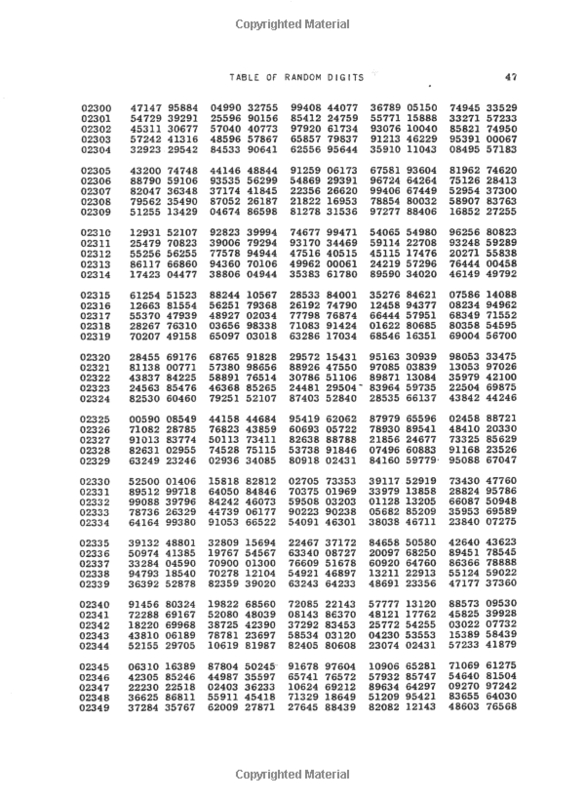 However at the lower left and lower right of alternate pages, the number is found to increment directly.